When we hear a customer say….. “We are still using the same wheel we have used for years”….. it is a good indication the performance from that wheel can be improved. At Eagle Superabrasives, we never rest on our laurels. Our team of Chemists and Development Engineers are constantly striving to design, test and ultimately, deliver to the customer, vastly superior products based on our unique Bond Development Process (B.D.P). Resin, Metal and Hybrid bond technology is constantly evolving with the availability of superior resins with improved heat tolerance, better fillers to combat burning, add lubricity and porosity combine to make wheels cut cooler. 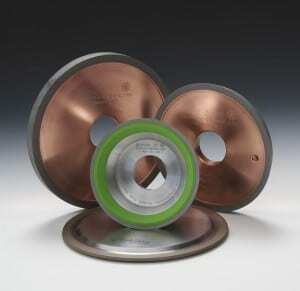 Vastly improved Diamond / CBN types to increase cutting action and wheel life and better, stronger and thicker coatings for the abrasive material to lock the abrasive into the bond to reduce diamond pull out and therefore increase wheel life and efficiency. Combine all of these improvements and it is easy to see why overall wheel performance increases an average of 10%–15% every 18 months. Show us a wheel you have used for years and we will guarantee we will improve your performance!